The restoration of this striking home in the heart of Copenhagen took five years to complete. 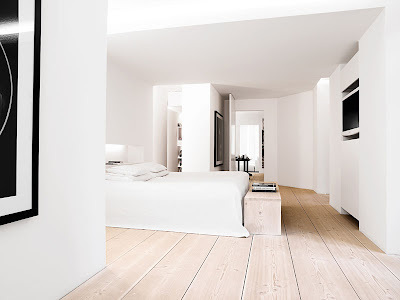 The owner, Danish financier Mads Ulrich is clearly a perfectionist and renovated in stages while dividing his time between Copenhagen and Los Angeles. The standout features are without doubt the flooring and lighting. 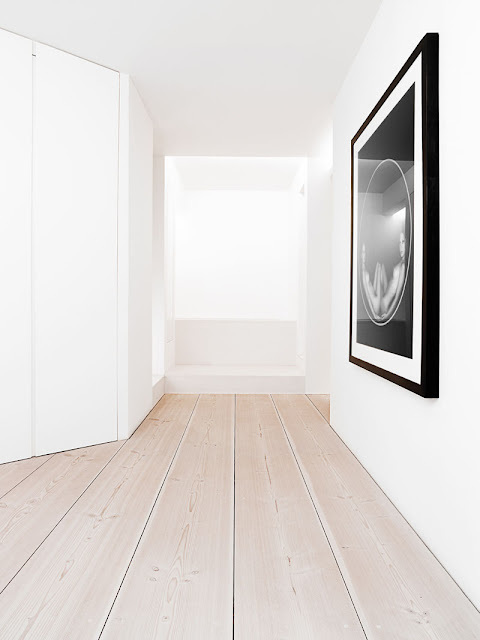 The original floors which were several hundred years old and very worn have been replaced with wide pine planks from Dinesen. The new flooring is a show-stopper. I'm completely captivated by it. Dinesen also created the dining table, kitchen table, guest bed and small built-in benches around the home from leftover planks. 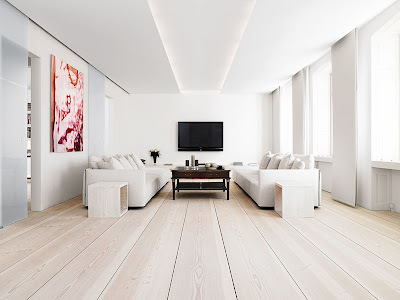 Ulrich collaborated with highly sought-after interior designer Anouska Hempel. Her exceptional skills with lighting have helped create a soft, cosiness despite the large spaces. 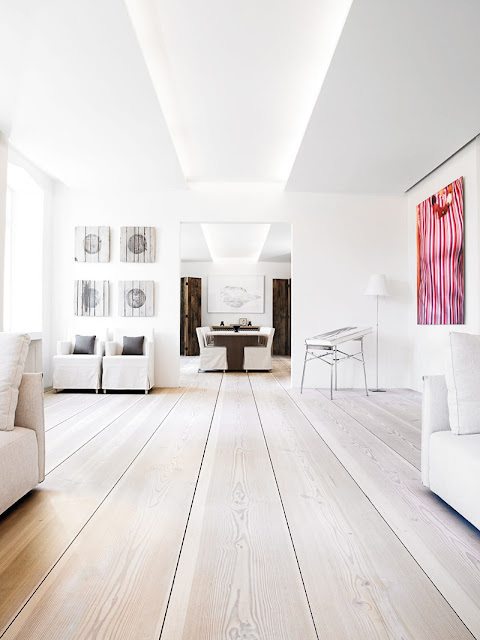 White walls and an impressive art collection give the home a beautiful gallery feel. If you would like to read more about this home take a look here. You are right Michelle, these floors are spectacular!